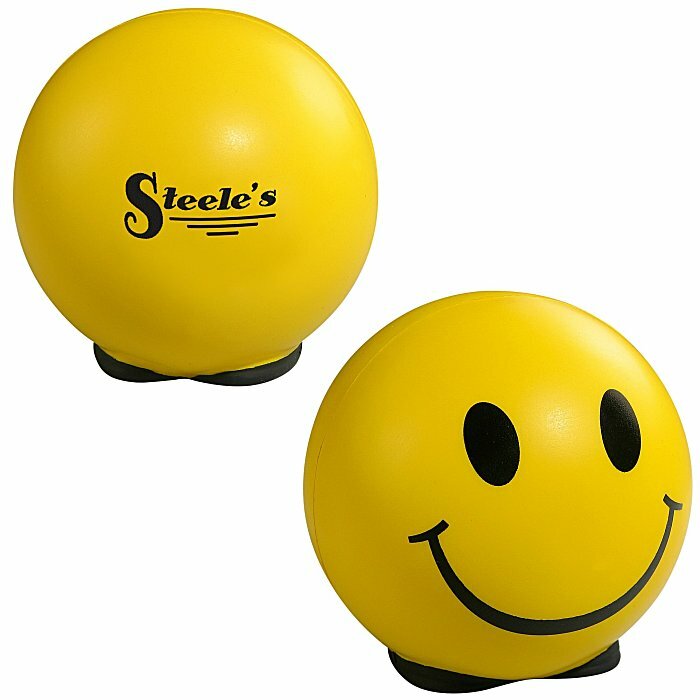 This ever-smiling stress ball is sure to brighten your customers' day! Help reduce stress and tension with this custom stress reliever. The smiley face design is versatile enough to be used by most businesses. Available only in yellow with black feet.